A premium grade, high performance sealant, designed to meet the flexibility requirements of dynamically moving joints. 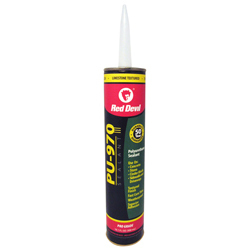 It provides excellent weatherability, adhesion and fast cure time with high bonding strength. Can be used on horizontal or vertical surfaces. Paintable and non-staining. 50 year limited warranty. Interior/exterior use. Solvent clean up.